Posted in Love and tagged as adoption, anniversary, Clairemont Surf, Demi Moore, pregnancy, scarlet letter, Tim Kirkpatrick. How well I remember this day 19 years ago, it was such an awesome and fun wedding. I remember how happy everybody was, but most of all, the bride and groom. 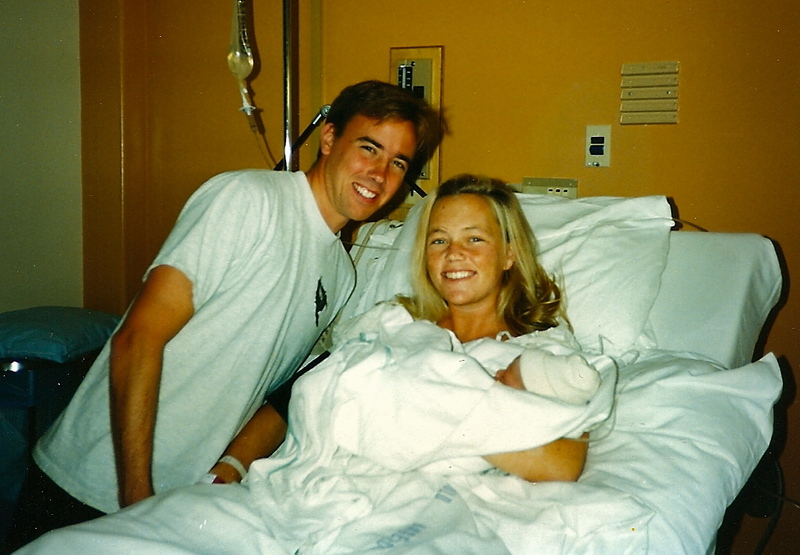 Ali, you write so beautifully and this blog is just fantastic, off the chart � I love it, I have cried and I just want to send both you and Tim my love today and to tell you what a strong and fabulous example you set to the rest of us women! As for Tim .. always has been a favorite of mine, he has a gift for loving people and making them feel so good. When you get to be my age, you realize that a lot of people have other things to do with their own families, never has Tim ever made me feel that way � he IS special �. YOU are incredibly special. Enjoy your beautiful day together and know that you are loved, Gretchen. Thank you!!!! for all your kind words, love and support over the years. You have a special place in our heart and lives. I appreciate all of it, especially your love here. Oh Ali, What an incredibly beautiful story. I am not surprised in the least that the qualities that I’ve so admired in both you and Tim were present back when your were both just out of your teens. Your Characters are the solid foundation, present early, that you’ve both built upon when raising your wonderful family and doing so, so much for the other children in Tierrasanta. Happy, Happy Anniversary. Your writing, again, has moved me to tears…. I remember sitting in the back of the church on this day because my mom and dad let me come for just the ceremony and at 13 years old I wanted to have a love just like yours. I also wanted a wedding at SSJ too, because I remember it being so pretty and magical. Happy Anniversary Ali and Tim! I love that Lindsay! Thanks so much for sharing that story. I had no idea. Sending love to your sweet family. Thanks, Ali,for your courage in so many ways. It’s a lovely story…may you have Many, many more happy years! What a courageous and beautiful story. Thank you for sharing! Thank you for sharing your LOVE story… We all have them but this one was different and special and it made me realize how open and honest you are with all of us and it made me appreciate and admire you even more. Yes, I also had tears rolling down my face… Thank you again! Thank you to whoever you are! I appreciate the support and encouragement! It means so much when sharing something so personal and hoping it is well received. I’ve heard this story many times, but reading it again my eyes welled up with happy tears.It’s the cinderella story I wish I’d been told as a young girl. It’s a beautiful love story and we are blessed ( in the real sense!) to have you both in our lives. Thank you for the reminder that our stories are continual, going on through the years- regardless of what is left out of the telling at the time. We celebrate you and Tim and your love story. It is way better than a disney happily ever after. Even though I know this story, I am again equally moved with its telling…an expression of true love on so many levels! There are readers who have never met you, some who have heard the story, and then some who were there to see it from the beginning, but ALL have equally adored this post. Like I said in my first comment, it is so beautifully honest. Even knowing the story, seeing it written out so beautifully is like looking at a beautiful piece of art. You truly have a gift for making your stories more like opening a present. Thank You. Thank you so much for the support and the love and for embracing our story the way you have. We love you! 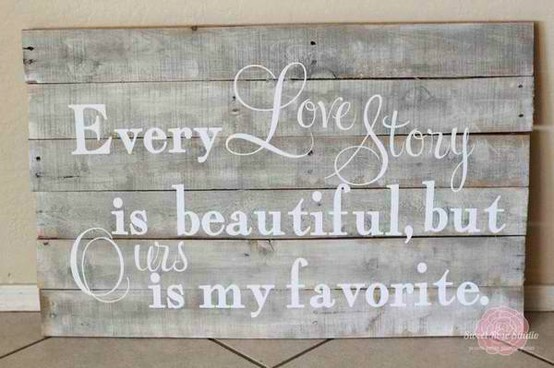 …and they lived happily ever after… love it all! Happy belated anniversary and to many more. Hi Alison! I wanted to thank you again for coming to the St. Greg’s MOMs group in the fall. Your story, this story, really opened me up to start writing. Your words are so real, so genuine, so sincere. Thanks again for sharing your experiences and keeping it real! Blessings! Still one of my all time favorite stories shared at Family Retreat. My daughters after that knew the kind of man to look for. A Tim. We love you guys and love that we are part of your lives. Though crying an hour before I’m teaching my Jesuit Rhetorical Arts class probably wasn’t the best idea, I’m so happy I read this today. :’) All my love, Ali, always.